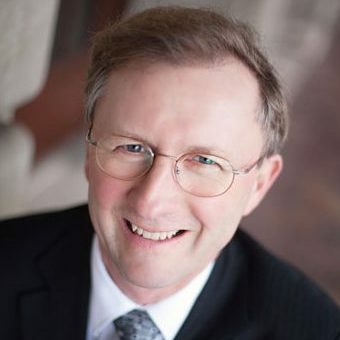 James Doser is Director of the Institute for Music Leadership. He is responsible for overseeing all Institute activities and programs, including the Catherine Filene Shouse Arts Leadership Program, the Paul R. Judy Center for Innovation and Research, and the Careers and Professional Development Office. Doser has forged a wide-ranging career creating national and local arts and education projects, teaching at Eastman and in the Penfield, N.Y., school district, performing with regional and national jazz artists and the Rochester Philharmonic Orchestra, and directing Tritone Music, Inc., which organizes and manages jazz camps for adults in New York and Wisconsin. Doser’s innovative projects include “PRISM: American History through New Music,” which received National Endowment for the Arts funding to integrate the study of American history with contemporary music through a series of composer residencies. Doser also developed “The Jazz Age in Paris” curriculum guide for the Smithsonian Institution, which recognized his work with its Award for Education. He created an educational program for his students for the traveling exhibit “The Genius of Duke Ellington” when it was at The Strong Museum of Play in Rochester; the project featured a performance by trumpeter and Eastman alumnus Byron Stripling and received the Harvard-Radcliffe Award for Teaching Innovation. Doser produced the Penfield Jazz Fund Raiser Concerts, which featured world-class jazz musicians in-residence and in-concert with student groups, and the Penfield/Wegmans Wind Ensemble Composition Contest. The 2013 contest drew 170 entries from 35 states and 28 countries. Since 2010, Doser has taught courses in career skills and entrepreneurial thinking at the Institute for Music Leadership and developed its online music theory course. Earlier, he directed the Eastman School of Music Lab Band and New Jazz Ensemble from 1986 to 2001 and led several seasons of summer jazz and band camps for high school and middle school students. He has been a guest presenter at college and high school clinics and professional conventions on such topics as interdisciplinary projects and entrepreneurial thinking in K-12 music programs, improvisation for elementary jazz ensembles, and college readiness. As a performer, Doser has appeared with the Rochester Philharmonic Orchestra and The Society for Chamber Music in Rochester and on their recordings Gershwin and Façade, respectively. He is tapped throughout the region for concerts requiring a “doubler,” a multi-instrument woodwind specialist. Doser was a co-founder of Tritone Music, Inc. Launched in 1998, the business offers a Jazz Fantasy Camp for adults of all skill levels. The week-long program, conducted by professional musicians and educators and held at Nazareth College in Rochester, N.Y., and Bjorklunden in Bailey’s Harbor, Wis., includes vocal and instrumental classes, jazz theory, ear training and improvisation, jam sessions, and concerts. An alumnus of the Eastman School of Music, Doser received a Bachelor of Music degree in music education and saxophone in 1979, earning the coveted Performer’s Certificate. He received a master’s in jazz and contemporary media/performance at Eastman in 1984.